Report: More than 1 million illegals with final deportation orders remain in U.S.
Over one million illegal immigrants remain in the United States despite being issued their final deportation orders, according to the Immigration Reform Law Institute (IRLI). Data obtained by IRLI via a Freedom of Information Act (FOIA) request show there are 644,488 illegals from the top four countries of origin – El Salvador, Guatemala, Honduras, and Mexico – who remain in the U.S. despite having been served their final deportation orders. Adding in all other countries of origin, the total who have been given final deportation orders but remain in the U.S. is 1,009,550, IRLI said, according to a March 19 report by Conservative Review. “Those numbers are as of June 2018, right before the largest surge in Central Americans began over that summer and intensified in the fall of 2018 and winter of 2019,” the report said. In addition, there are roughly 1.1 million others from those four counties who have “pending final orders” and are close to receiving deportation orders, IRLI said. Those with pending final orders are usually individuals who have already been ordered deported by immigration judges but are appealing their case to the Bureau of Immigration Appeals (BIA). 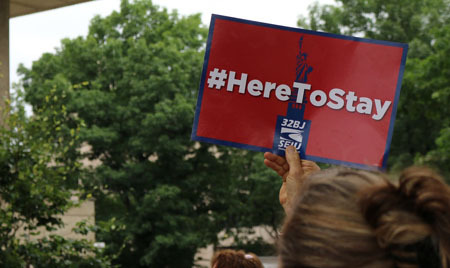 “Putting aside the debate over admissions at our front door, shouldn’t there be a comprehensive effort to empower and direct ICE to begin deporting as many of these people as possible?,” Daniel Horowitz, senior editor of Conservative Review, wrote.